Unless otherwise agreed in writing these conditions shall prevail over any conditions stipulated by the buyer and in the placing of an order with fcsnooker you are agreeing to accept these terms and conditions. All sizes, weights, colours or other specifications given on the fcsnooker website, brochures, price lists or via email communication are approximate and may vary slightly from the published details. The minimum order value to trade customers is £300.00 excluding Value Added Tax. Mixed orders to achieve this value will be accepted. We will accept small urgent orders from regular trade customers on special occasions subject to the addition of packing and delivery charges. There is no minimum order value required by retail / private customers. If special despatch cartons / cases / crates / pallets / are required then a surcharge will apply. Goods will be sent by normal inland carrier or Royal Mail Postal services. Where delivery is required by an alternative service then the extra cost will be added to the invoice. For Northern Island, Channel Islands, Mainland Europe and other destinations involving Sea and Air Freight we will pay the carriage to the docks or inland container depot, but Freight On Board charges (FOB), sea or air freight, overseas postage, insurance, documentation, and wooden export packing cases will be charged as applicable. All goods are despatched subject to courier conditions. Orders for non stock items or personalised items once accepted cannot be cancelled without written agreement from fcsnooker. Payment of a cancellation fee may apply. Due to unsettled market conditions we can only accept orders on the basis that goods will be charged at the ruling prices at the date of despatch. All published prices are exclusive of Value Added Tax which must be added to the costs of all goods and packing / delivery charges where applicable. All credit accounts are due for payment by the 20th day of the of the month following invoice. Credit account customers who exceed our payment terms will have their account placed on hold until all payments are received in full. Overdue accounts are subject to a surcharge of 2.5% per month. Late payers will have credit limits reviewed. For mail order deliveries we can accept payment by credit card / debit card, (all major cards including Visa, Master Card, Delta or Switch). Payment will be debited to your account before the despatch of your purchase. 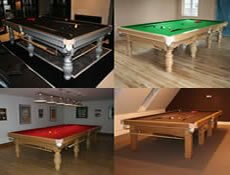 For snooker, English Pool, Convertible Billiard Dining tables, Convertible English Pool tables and American Pool tables that are to be professionally installed by qualified fcsnooker fitters, a deposit payment is required to book into the fcsnooker order book. 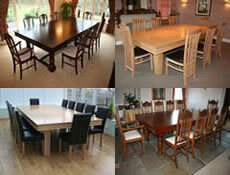 Full remittance is payable after the table is installed, levelled and balanced. Deposit payments by credit or debit card acceptable for these items. Remittance payments by credit / debit card subject to 2.5% bank handling surcharge. Payment by bankers draught, building society cheque, or cash acceptable on the date of delivery. Payment by personal or business cheque acceptable before the date of delivery. All credit and charge card holders are subject to validation checks and authorisation by the card issuer. If payment is not authorised by the issuer of your payment card, we will not be liable for any delay or non-delivery. For payment by cheque before delivery dates, please make cheques payable to Webb Enterprise Ltd with the order reference details on the reverse of the cheque. If you wish to order from outside the Unied Kingdom, please contact us using the email address info@fcsnooker.co.uk and we will then send you a personalised quotation. The seller retains the title to all goods supplied to the buyer until all have been paid in full. In the event of default payment by the customer, the Company may give notice of to the customer terminating the customers right to possession whereupon the Company may (with or without previous notice) itself take repossession of the goods and the Company is in such circumstances irrevocably authorised by the customer to enter any of the customers premises for the purpose of removing these goods. If not withstanding that the property and the ownership of the goods has not passed to the customer, the customer shall deal with the goods in such a manner as to pass to a third party a valid title to the goods, the customer shall hold the proceeds of such sale on trust for the Company. The responsibility for any loss or damage after the date of consignment to the property in the goods passing to the customer is accepted by the customer as BAILEE. Repairs are carried out entirely at the customers personal risk. No liability is accepted for goods lost in transit, or damaged in transit, or lost / damaged in our possession. All goods are at buyers risk as soon as they have been delivered or collected. Once the goods have left our premises our liability is limited to our carriers terms and conditions of transportation, unless prior insurance has been arranged. If goods fail to arrive within a reasonable time limit (approximately 7 days from date of despatch) then the seller must be notified immediately by the telephone and also in writing via email so that steps can be taken to trace the consignment. When goods arrive they must be inspected carefully and damaged / faulty / missing goods reported within two working days. The Company cannot accept loss or responsibility thereafter. All outer packaging must be retained for inspection. We will always endeavour to meet our customers delivery requirements in accordance with our operating schedules. All delivery / despatch dates are given in good faith and but we cannot be held responsible for delayed delivery or despatch however caused. All products are subject to availability and may be withdrawn at any time. 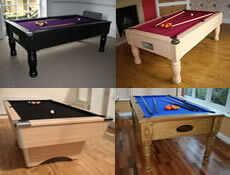 fcsnooker is the web trading name of Webb Enterprise Ltd.
All prices are in pounds sterling Great British Pounds (£). All prices shown exclusive of United Kingdom based Value Added Tax. Webb Enterprise Ltd reserve the right to change any prices at any time. We will exercise all reasonable precautions to keep strictly confidential all information supplied by customers. We do not supply your personal information to any third party. Your statutory rights as a consumer are not affected in any way by our Terms and Conditions. All transactions undertaken through this website are governed by English Law. All overseas customers must make payments against an irrevocable Documentary Letter of Credit established with and confirmed by a Bank in England, or payment by a transfer of funds prior to despatch of any goods, either directly into our Bank Account (see bank information shown below) or into our merchant banking system at World Pay. All bank charges in the United Kingdom and overseas together with local taxes, customers duties and other fees due at destination are overseas customers responsibility. When goods are despatched by post, International Postal charges, documentation and insurance are for the customers account. All goods are sold 'Delivered to the United Kingdom Port or to United Kingdom Airport', including normal protective wrapping and and normal packaging cartons. All special export crates, cages, pallets, cartons etc are subject to a further surcharge. All Freight on Board Charges (FOB), documentation, insurance and freight are for customers account. All consignments will be insured unless written instructions are received to the contrary. All goods must be inspected without delay and and damaged / faulty or missing items reported within five days of accepting delivery. The Company can accept no responsibility thereafter. All outer packaging must be kept for inspection. It is the responsibility of the Assured to claim immediately on the carriers and to comply with any insurance claim procedures. 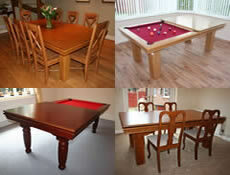 Retail Premises: 282, Ribbleton Lane, Preston, Lancashire, PR1 5EB - Telephone - 0044 01772 702211 - web: www.fcsnooker.co.uk - info@fcsnooker.co.uk. For Webb Enterprise Ltd Sort Code and Bank Account details please contact us via email at info@fcsnooker.co.uk.